Netflix has named former U.S. National Security Advisor and Ambassador to the United Nations Susan Rice to its board of directors, the streaming service announced Wednesday. 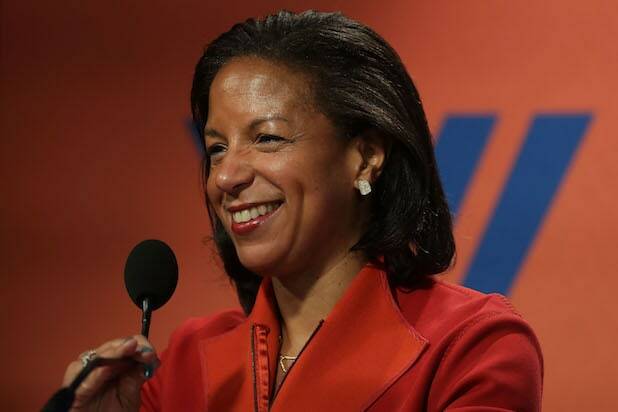 Rice directed the National Security Council staff and chaired the Cabinet-level National Security Principals committee from 2013-2017. She provided daily national security briefings to President Barack Obama, and oversaw his administration’s foreign and national security policy, intelligence and military efforts. From 2009 to 2013, she held the role of U.S. Permanent Representative to the United Nations and was a cabinet member. Rice has also acted as the U.S. Assistant Secretary of State for African Affairs and as a special assistant to President Bill Clinton. “I am thrilled to be joining the board of directors of Netflix, a cutting-edge company whose leadership, high-quality productions, and unique culture I deeply admire,” Rice said. Rice has served on the boards of the John F. Kennedy Center for the Performing Arts, Bureau of National Affairs, National Democratic Institute, and the US Fund for UNICEF. She began her career as a management consultant with McKinsey and Company in Toronto.